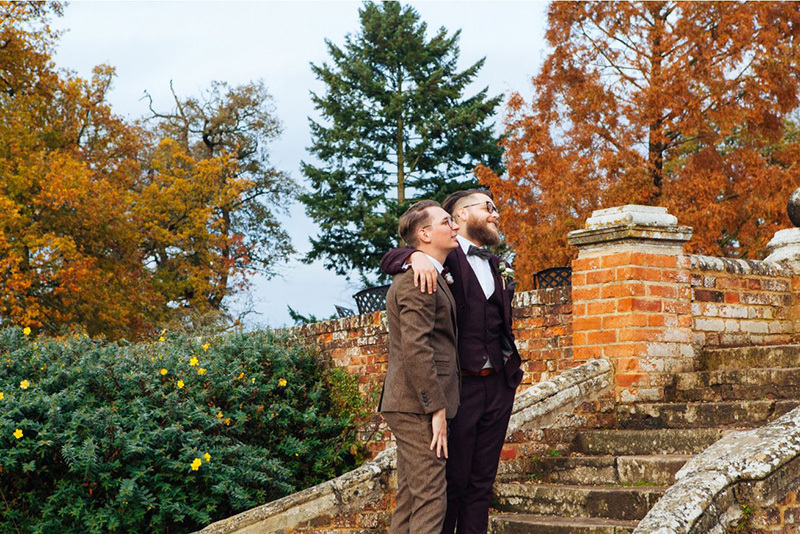 Ufton Court is a charming, historic Tithe Barn and Grade I listed Manor House set within 16 acres of beautiful grounds and woodland in Berkshire. 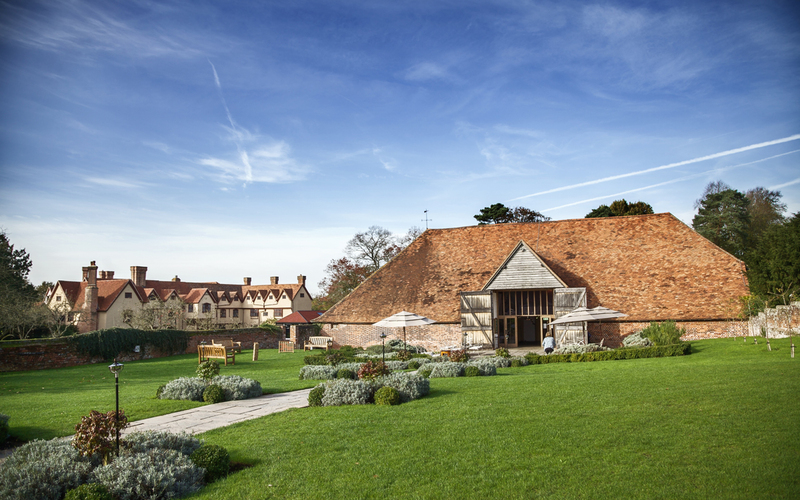 The stunning 16th century timber-framed Tithe Barn provides the perfect blank canvas for your dream wedding celebrations. The venue is located on the Berkshire/Hampshire border with easy access to the M4 with good road and rail links. 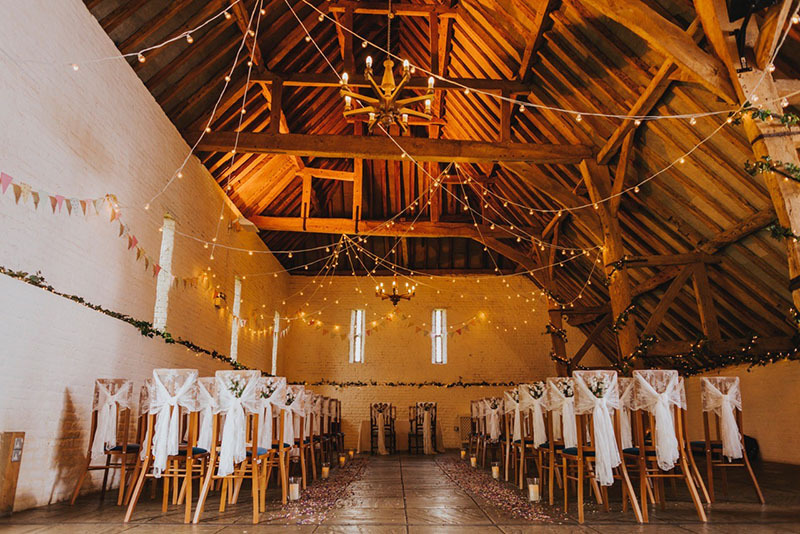 The beams of the Tithe barn are entwined with ivy and fairy lights leaving the rest of the interior of the barn perfect for any style or theme for your wedding breakfast. 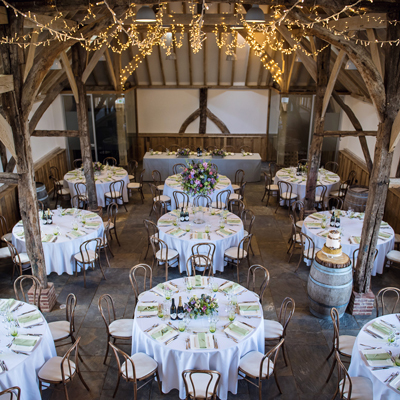 The barn seats up to 150 diners, with an additional 50 guests accommodated for the evening reception. 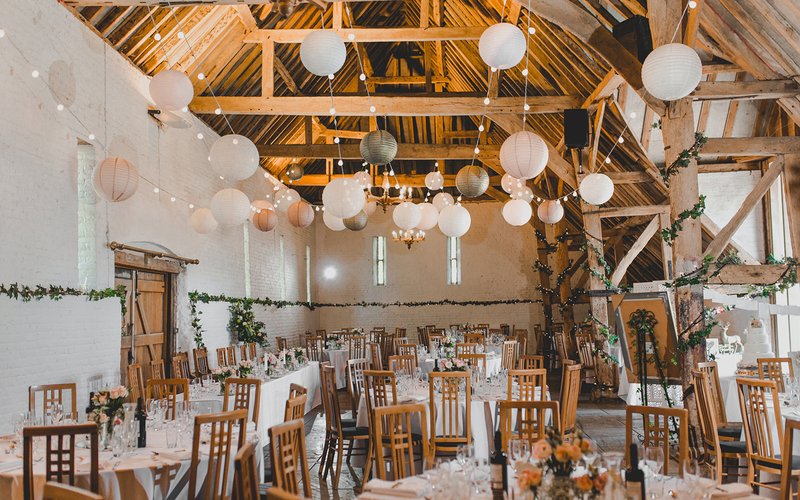 For smaller weddings, the barn provides an intimate and equally magical setting. 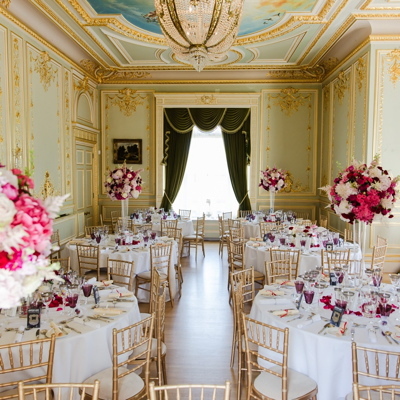 Tea and coffee can be taken in their Archer’s Hall after your wedding breakfast, while they transform the room for your evening reception. The Archer’s Hall can also be used later in the evening as a quiet area for guests or as a safe room in which children can play. 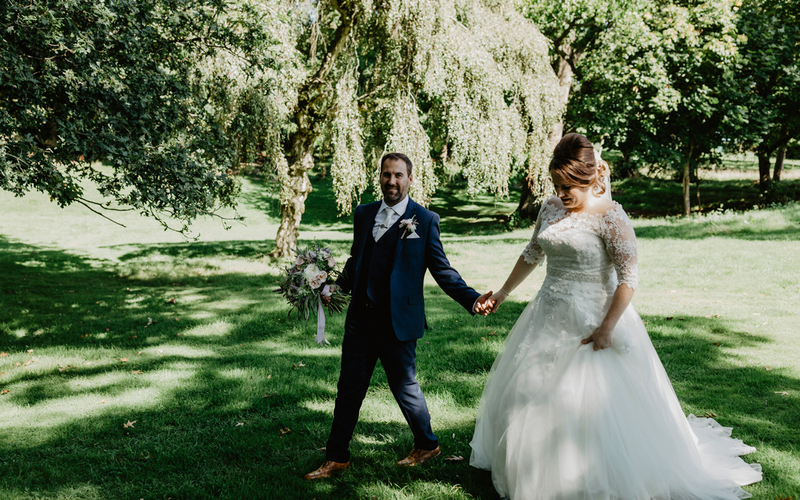 To help with your plans and preparations, their dedicated wedding co-ordinators are on hand throughout to ensure every detail of your big day is perfect. They do not charge corkage, so you can supply your own alcohol for your toasts, wedding breakfast and reception, saving money for the little special touches or honeymoon. 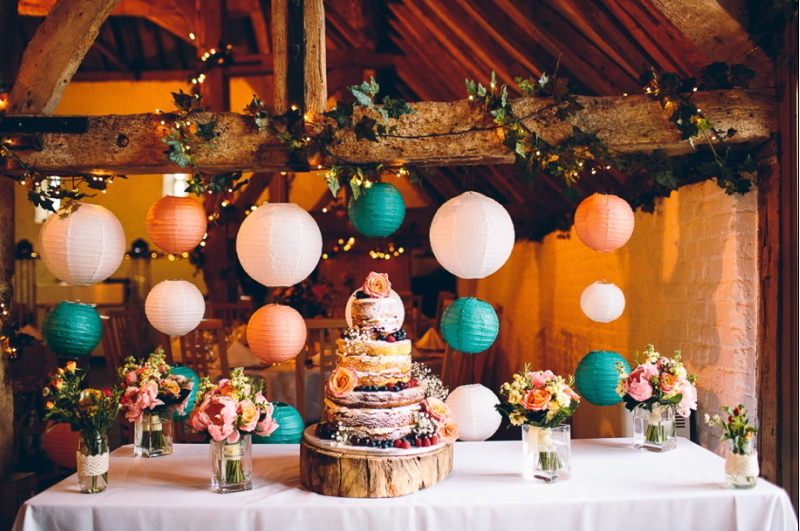 They offer a choice of six caterers who work with seasonal local produce wherever possible and give you choice and flexibility for your wedding breakfast. 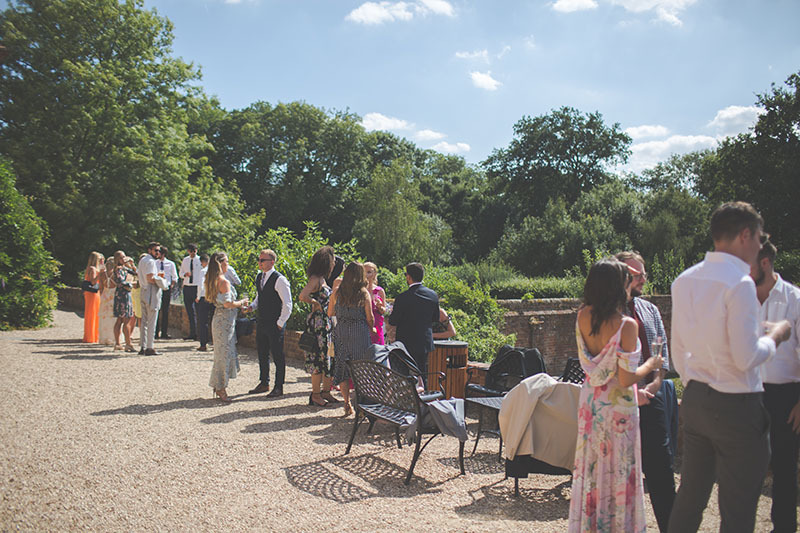 By choosing to have your wedding at Ufton Court, you will also be supporting their children’s charity which enables disadvantaged children to come and enjoy inspirational and challenging experiences outside the classroom.